Your cooperation is requested by strict adherence to the following rules and regulations. The Rangemaster and Staff are here to make your visit enjoyable. 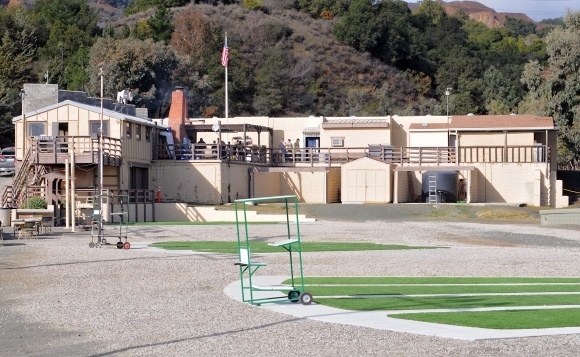 A copy of these Rules are available at the Club outside the Range Office. Actions of all uncased firearms will be open at all times except when actually shooting on the firing line. No loaded firearms allowed on the range except on the firing line. When loading or working with your firearm, keep it pointed downrange. No movement forward of firing line is permitted until Range Master gives instructions. At the "cease-fire and target check" command, completely unload and bench all firearms, with actions open, and move to safety zone behind the yellow line. After checking your target, do not loiter down range; return to the safety zone behind the yellow line. Do not handle any firearms or benched equipment during "cease-fire" and target check. 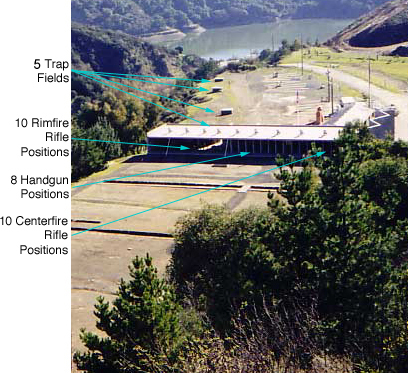 Fire only at approved targets placed at a numbered position corresponding to your numbered firing point. Do not post targets on edge of frame. When firing, keep the muzzle of the firearm at or forward of the firing line. In case of malfunction of a firearm which you cannot clear, stay at your firing point and raise your hand to attract the attention of the range safety officer or range master to request assistance. The Range Master is authorized to inspect all firearms and ammunition and prohibit the use of which, in his opinion, is unsafe or hazardous. Firing periods are 15 minutes or the discretion of Range Master. No children under 6 are allowed on the range. Children age 6 through 17 must be coached by an adult who is within arm's length and paying full attention to the minor child . 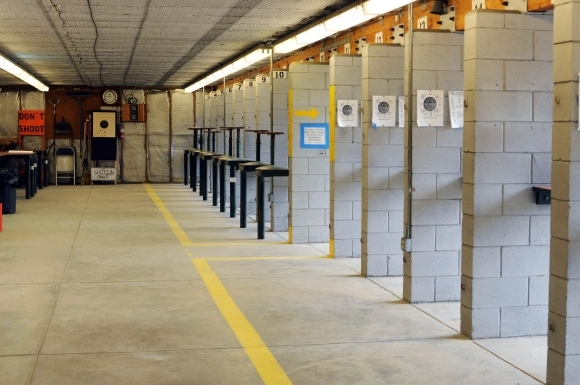 Eye and ear protection must be worn on the rifle/pistol range. The Range Master's decision is final. Violators of any rule may be requested to leave the premises.